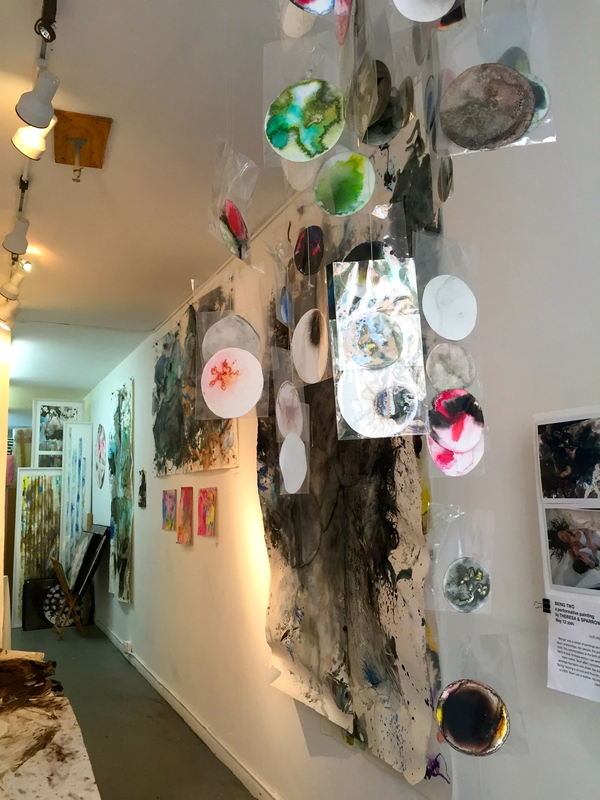 Artifactoid sits down with Marina Reiter, Artist and Director of Studio 26 Gallery located in the heart of NYC’s East Village. 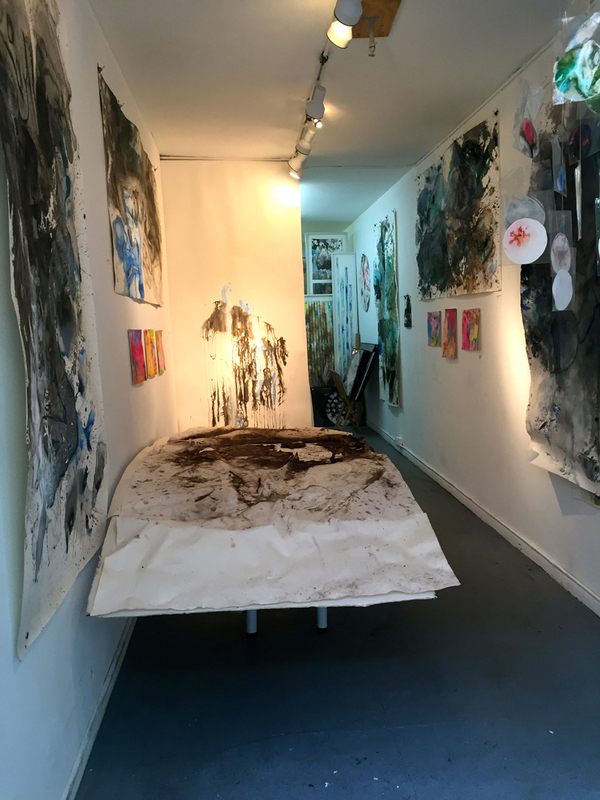 Stop by her East 3rd Street space to hear live music, sit in on a poetry reading, or view visual art that ranges from sculpture, to painting, to performance and more. Also, don’t miss Studio 26 at Art Basel Miami week’s Aqua art fair this year. Artifactoid: I saw on your website that you opened Studio 26 in 2012, and recently celebrated a one-year anniversary in the East Village space. Congrats! Where did you start out, and how did you decide upon NYC’s East Village? How does the gallery’s location affect the experience of it? MR: The gallery was originally founded in Bushwick in 2012. The only problem with Bushwick was that there weren’t that many storefront spaces per-se, and renting a gallery space requires a storefront because it’s important to engage the public on a daily basis. We finally saw this space in the East Village, on East 3rd Street in the “mosaic” building, and I really liked the artistic quality of the building itself. The owners said that in fact, they’d had a lot of offers on the space, but they really wanted a gallery to be in there. So, there was a match made in heaven! 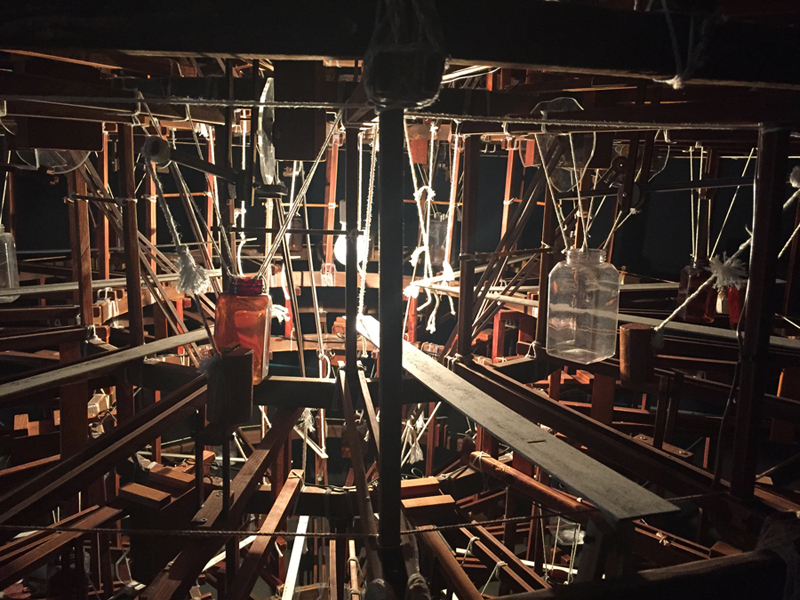 Artifactoid: What were you doing prior to opening the studio? What led you to open it, and how did it come together? MR: I used to run a lot of galleries. I was in Washington, DC and when I lived there, I was gallery director for Studio Gallery, one of the oldest galleries in DC (founded in 1964). It was a collective gallery and at that time we had probably 34 artists that we worked with on a daily basis. We had three floors, and each floor was a different exhibition, so it was just exciting to be totally immersed in that creative energy. Then, I decided to move to New York in 2009, right after the economic crash. The crash made me rethink certain things in my life — including where I wanted to be — and I decided that I had to be in New York. And, in 2010, I became co-partner in a gallery in Vienna, Austria, called “Gallery M.” We did a lot of international exchange shows between US artists, German artists, and Austrian artists and a lot of art fairs: Art Beijing, art fairs in Strasbourg, Luxembourg. I met a lot of interesting European artists like sculptor Gianfranco Meggiato who recently finished a big commission for the Prince of Monaco. I was torn between Vienna and New York. I was on the plane every other week. I knew that I needed to do something here in New York City, in my own backyard, so that’s how Studio 26 came about. Artifactoid: Tell me about some of the noteworthy artists you represent. Which have made the biggest impact on Studio 26 since its opening? MR: I work with a lot of international artists, and it’s just an amazing experience because international artists really bring their own, unique perspectives. We have artists from France, Norway, Brazil, Turkey — amazing artists, working using all different techniques…and for me, just to be looking at all the art and talking to them completely opens up my mind. One of the artists that I’ve worked with in the past, from Washington, DC, is John Bodkin. He used to live in the East Village back in the ‘70s. He’s an amazing person, a great artist, and has a very interesting history. Back in the ‘70s when he was a young man, trying to navigate this crazy art world in New York City, he ended up in the East Village and became friends with Robert Rauschenberg, Frank Stella…they would visit Louise Nevelson’s studio…these are these amazing artists who nowadays are almost god-like creatures, but back in the day, John was hanging out with them, learning from them, talking to them…and ended up carrying on that tradition from the ‘70s. You can definitely see that in his paintings; there’s a lot of Rauschenberg and Stella influence. It’s just amazing to be working with people like that who are part of living history, so to speak. That’s one of the moments that makes daily “gallery life” so exciting: just working with people like that, who are part of history. Artifactoid: Tell me a bit about your own art, the history of you as an artist. MR: I describe my art as “biomorphic, organic, abstract art.” My family has a lot of artists. Both of my uncles are famous Russian artists. My great uncle, Nikolai Solomin, actually studied with the founders of classical Russian realism. His son, also Nikolai Solomin, is now probably one of the most recognized Russian painters. They work in either realism or impressionism, and I would say some military realism. I always admired that, but I never felt that realism or landscape were things that I had a tremendous passion for. When I first came to the US from Russia, I was seven years old. My family and I went to the MET, and that was when I saw abstract art for the first time. I felt like it was something I could absolutely relate to. Then, as a young adult, I decided that I really wanted to go to a good art school that would teach me abstract art. Unfortunately, in Russia, there is much more of a focus on realism, and even now, there is no real appreciation for abstract art there, nor the way to teach it. So, I decided to attend the Corcoran College of Art and Design in Washington, DC, with a primary focus on studying abstract art, painting, and sculpture. It was an amazing experience. I loved my teachers. I’m still friends with a lot of them. And, they’ve been a tremendous influence in my life. In school, I also realized that I’m a colorist: I was really interested in color theory, playing with colors, and just discovering things about myself through my art. It’s a lifelong journey; it’s wonderful, it’s always exciting; never boring. Artifactoid: How does owning a gallery and being a curator affect how you think about yourself as an artist? MR: That’s a good question, because being in art administration actually taught me a lot, and I would say as a piece of advice, to many artists, once the painting or the work of art is done, think about the presentation: how you want people to see your art. Make sure that it’s framed properly, that it’s not falling off the wall, because it doesn’t matter if it’s a masterpiece or not: something that’s completely framed, something that doesn’t do the work justice, can absolutely kill the impression, so just be very cautious of that. Artifactoid: What are some of the biggest changes you’ve noticed in the art world throughout your career, and where do you see it headed? MR: Here in New York, I’ve noticed a shift in where the galleries are located. Over a period of six years, I noticed a move from Chelsea to the Lower East Side and East Village, and also from Williamsburg to Bushwick. Bushwick is a fun, exciting art scene. It’s really interesting to be a part of the dynamic here, just seeing that it’s not static, that it’s constantly evolving and moving — trying to predict those trends is pretty exciting in itself. Interestingly enough, speaking of the changes in the art world, as I mentioned I do a lot of international art fairs, and going to Asia, and seeing the Chinese art market, is always particularly interesting because it changes every year. I’m really happy to see that there are more and more people that are interested in and appreciative of abstract art now than there used to be six years ago. Six years ago, it was mostly realism and something that people could relate to on a daily basis. Now, to see that people can relate to western abstract art in China is amazing because it tells you something about all the cultural exchanges that are going on the moment we speak on so many levels between all the countries. Artifactoid: In what direction would you like to take Studio 26 in the future? MR: There are a lot of ideas, and my assistants and I are brainstorming every day. We really like what’s happening with Studio 26 right now — that it’s actually a space for all genres of art, not just painting or sculpture. It’s also a space where poets, musicians, and performance artists can come in, test out their latest works, and get feedback in a very supportive environment. That’s really what we try to do as a gallery: be very supportive of our artists. But, we also have other ideas. We are going to launch several new projects, including two new gallery projects that will be marketed and branded under “Reiter Contemporary.” There are some interesting things in the works, so stay tuned! Artifactoid: Finally, Studio 26 will be at this year’s Aqua art fair in Miami as a part of Art Basel Miami week. Tell us a bit about what you are preparing for the show. MR: This year we are participating in Aqua Art Miami during the Miami Art Basel week. It’s very exciting. I love art fairs: the people they bring, the reception…everything that goes into that art fair is an amazing experience. I’ve always been a huge fan, and now that we are participating, we’re all super excited. We’re going to have a very interesting mix of painting and photography, and I won’t give you any details as of yet, it’s just going to be really amazing talented artists that we actually haven’t shown yet, so it’s something to discover! I’m privileged to have spontaneously met Australian performance artist Theresa Byrnes a few weeks ago while strolling down East 9th Street. What a remarkable person. 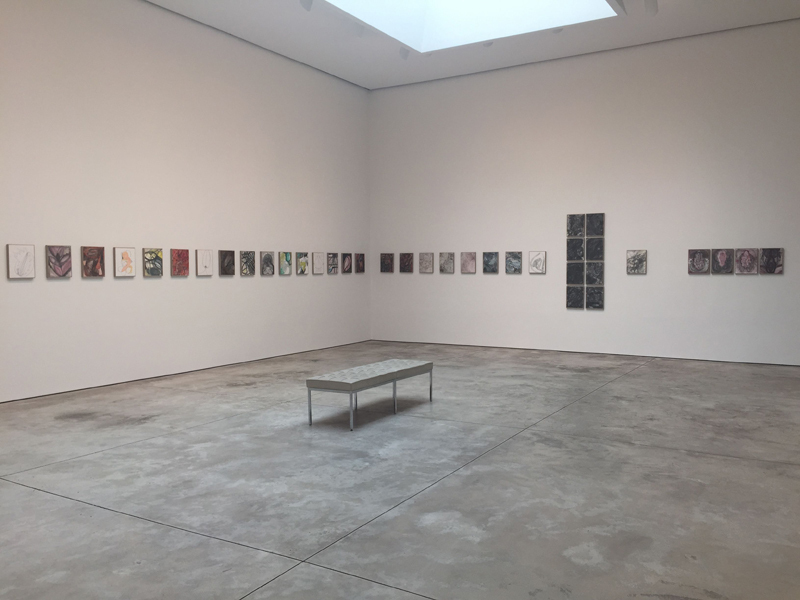 I was walking home from an estate auction in Greenwich Village, and popped my head into what appeared to be an open gallery space called TBG (Theresa Byrnes Gallery). I entered the bright, colorful room, filled floor to ceiling with an abundance of kinetic paintings created by Theresa Byrnes and her mother and fellow artist Lorraine Byrnes. Lorraine warmly welcomed me into the gallery. I felt like she was my mother, too! She and Theresa had recently debuted “Offspring,” their joint exhibition, with an opening reception that took place at TBG on July 30th. It wasn’t until I’d made my way to the back of the gallery that I met Theresa. She told me that the back portion of the space was her studio. Theresa was one of the coolest-dressed people I’d seen all day. I immediately fell in love with her style and arresting smile. She was wearing a funky black hat, a pale pink punk-rocker style T-shirt, black jeans, and a set of badass red high-top kicks. Finally, there was her most unique accessory: her wheelchair. Theresa and I spoke for close to an hour, getting to know each other. After reading more about her following our meeting, I found out that she has a degenerative disease called Friedrich’s ataxia, that causes progressive damage to the nervous system. I am incredibly inspired by how clear it is, from both meeting Theresa and reading about her, that she doesn’t allow the disease she lives with to define her or control her. She finds freedom in her work and nothing seems to hold her back from being her full, powerfully talented creative self. This fascinating article from The Villager can tell you a bit more about her story. I’m in awe of her. 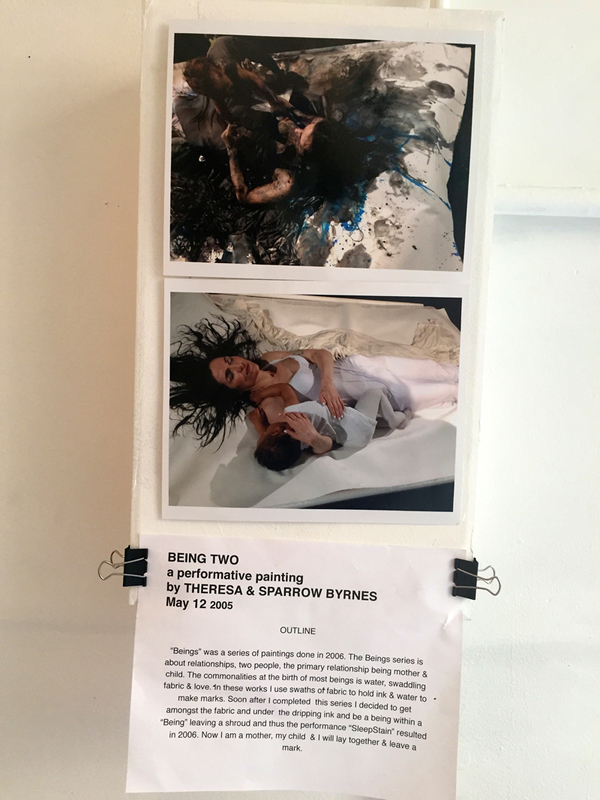 Theresa’s infant son, Sparrow, was with her in the gallery space. I loved the way her passion came through so clearly when speaking about art, creating, and her son. Her palpable joy and refreshing attitude toward life and art made me feel happy. I am pleased to share a preview of her piece, “Being Two,” shown below. I also invite you to watch this video interview, conducted with Theresa last year on ABC (Australia). It will give you a sneak peek of the amazing person and artist that I had the opportunity to meet face-to-face. Finally, I hope that if you’re planning to visit Alphabet City any time soon, you take a moment to stop by TBG at 616 East 9th St. between Avenues B & C to check out her work.